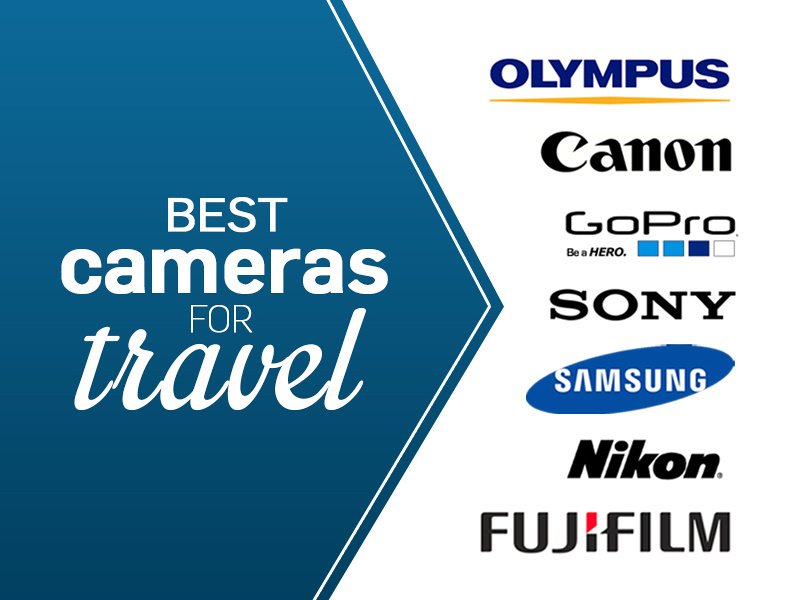 If you are shopping for a new camera then I have compiled the best cameras for travel, picking the most popular cameras from each category. Digital SLRs is the go-to camera for most photography professionals and enthusiasts. We have picked out the most popular DSLRs on the market today which are ideal for starting out. The Canon EOS Rebel T5 is a best seller for good reason – it’s a great value entry-level DSLR digital camera from a trusted brand. If you are starting out then buying as a bundled package also includes 4 lenses (18-55mm, 75-300mm, 58mm 2x Lens, Wide Angle Lens), Auto Power Flash, UV Filter Kit, 24GB SDHC card, and accessory bundle. The D3300 is a small, easy to use HD-SLR that has made it a popular entry-level choice. The camera comes with a 18-55mm lens (and optional 55-200mm lens), and includes easy panorama mode and beginner-friendly guide mode. Capture 24.2-MP photos and 1080p Full HD videos, then share them instantly with your compatible smartphone and the optional WU-1a Wireless Adapter. Mirrorless interchangeable-lens cameras are cameras that don’t have a mirror reflex optical viewfinder (like a DSLR). As a result the camera body and interchangeable lenses are much smaller. The original mirrorless cameras were not comparable in quality to a DSLR, but mirrorless cameras are gaining in popularity each year as the technology improves. After using pocket point-and-shoot cameras for years, I upgraded my camera to a DSLR. While it was a great camera I never got comfortable with the size and weight, so I moved to the mirrorless camera camp. I currently have an Olympus PEN E-P3, and I will likely upgrade to its newer version this year. The Olympus PEN series are a Micro Four Thirds camera, so it has the functionality of a DSLR without the bulk. Here are the most popular mirrorless cameras on the market. The PEN E-PL6 shoots images with stunning detail and vivid colour, and captures crisp, clear shots in low light. Everything is fast on the PEN E-PL6 from the exceedingly responsive touch screen to 8 fps sequential shooting. Show your artistic side with Full HD Video 1080i and 12 Art Filters and Effects, and edit RAW images right in the camera. The Sony Alpha a6000 mirrorless digital camera with detachable 16-50mm power zoom lens is the world’s fastest focusing camera. The α6000 can shoot 11 photos in one second. It’s easy to use too, with two quick-access dials and custom buttons that let you change settings on the fly. Other features include 3-inch tilting LCD and built-in Wi-Fi and NFC. A high performance compact system camera, the Fujifilm X-A2 will let you capture pictures in your own style. Self-portraits, landscapes, macro shots, low-light or flash photography. The X-A2 will provide you with all the creative settings you need to developed your own creative style. 3.0″ 920k, 175-degree tilting LCD screen for better selfies. One-touch wireless image transfer and Instax printer printing. Kit includes XC 16-50mm F3.5-5.6 II lens. NX3000 is a compact and light interchangeable lens camera, giving you great quality images. The large APS-C 20.5MP CMOS Sensor delivers shots which are bursting with sharp detail even in low light. The Smart Wi-Fi features let you share a just a quick touch. The NX3000 features Wi-Fi and NFC connectivity for instant sharing and remote control from your smartphone. While many travellers now use their smartphones as a pocket camera alternative, taking lots of photos over the course of the day will eat up your battery life in no time. Point-and-shoot cameras are ideal if you want to take lots of photos without worrying about taking up extra space. Most point-and-shoot cameras will fit easily in your pocket or purse without needing its own bag. Here are the most popular point-and-shoot digital cameras. This popular compact camera from Canon is equipped with a powerful 12x Optical Zoom. The Intelligent IS makes images clear and almost shake-free, even at high zoom lengths. Sharp, high-resolution imaging is fast and easy with the 20.0 Megapixel sensor. Shoots 720p HD video, while the Smart AUTO selects the right settings based on predefined shooting situations. The Sony W800/B 20.1 MP Digital Camera features include MP Super HAD CCD sensor for beautifully detailed images, Sony Lens with 5x Optical Zoom, reduced blur with SteadyShot image stabilization, and 720p HD Movie mode. Pull this ultra-slim camera out of your pocket or purse, zoom (20x) in with more power than you’d expect from such a small camera, and capture beautiful close-ups of distant action. Then use the built-in Wi-Fi and Near Field Communication technology (NFC) to connect to your camera to a compatible smartphone so you can transfer photos wirelessly. The advent of built-in video cameras in DSLRs and mobile phones has made taking a camcorder on your travels unnecessary. Instead of dying a slow death of redundancy, a new market of sports and action cameras has emerged. Some of the most amazing travel videos you see on YouTube/Vimeo are shot with these little cameras, with the GoPro being the best known of the lot. GoPro is the worlds most popular sports and action video camera. The HERO4 Silver captures 1080p60 and 720p120 video, plus 12MP photos at 30 frames per second. The built-in touch display allows you to frame shots and play back content with a simple tap and swipe of the screen. Share images with built-in Wi-Fi + Bluetooth, shoot time-lapse videos, and it’s waterproof to 131-feet (40-metres).